We found 10 episodes of The Bulwark Podcast with the tag “conservatism”. Former Congressman Joe Walsh joins host Charlie Sykes to discuss his changing views on President Trump, why Republicans in Congress are so afraid of President Trump, why they're running interference for him at the Cohen hearings, and why they caved, en masse, on his national emergency declaration. David Frum from The Atlantic joins host Charlie Sykes to talk about his path from presidential speechwriter to party pariah, where the GOP has dropped the ball on everything from financial crisis to Obamacare, and what the future may hold in the era of Trump. Former RNC Chairman Michael Steele joins host Charlie Sykes to discuss why he's remaining a Republican, the current state of the RNC and Trumpism, his relationship with Reince Priebus, President Trump's so-called National Emergency, and the future of the GOP majority in the Senate. 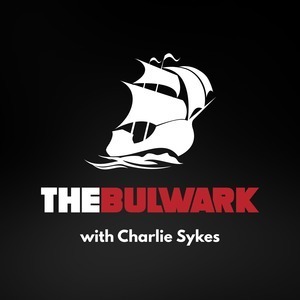 On today's Bulwark Podcast, Mona Charen and Jim Swift join host Charlie Sykes to discuss whether or not there can be a party of reality in the 2020 elections. Julian Zelizer and Kevin Kruse join Charlie Sykes to discuss their new book 'Fault Lines: A History of the United States Since 1974."